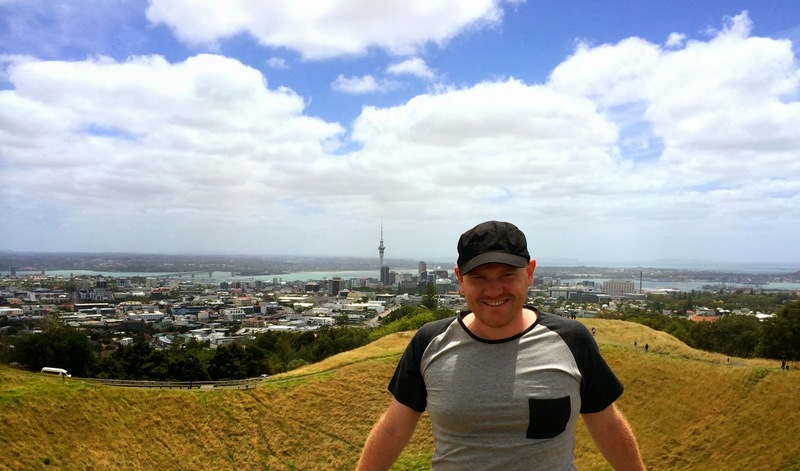 Auckland, New Zealand's biggest city, and my final stop in the country before heading back to Sydney for a few days. Then, Asia! The city of Auckland holds roughly a quarter of New Zealand's population, with 1.3 million people living here. It's the financial and business hub, and it's the most multi-cultural city in the country. There's loads of events going on, and I simply couldn't say no to visiting the amazing Seafood Festival which just so happened to be on whilst I was around. Magic! The venue of choice for the Arsenal games is usually The Fox pub on the Viaduct, where a small amount of Arsenal fans usually congregate. We managed to get around about 20 people for the 8:45am kickoff against Coventry City, which isn't a bad amount considering there's no active supporters club. 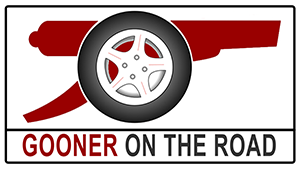 In fact, it's something that the local Gooners are trying to resurrect, and based on the turnout I think it's safe to say there's some real potential to get a decent number of people involved, because there's a good number around. In fact, it doesn't matter what city, country, continent I'm in, I just can't stop bumping into Arsenal fans. I even went into a butcher to get some sausages for a BBQ, and I bumped into a Gooner working there, who was proud to show off his memorabilia. A butcher in Auckland. Also a Gooner. The game itself was a convincing victory over the team from Coventry that plays in Northampton, the first two goals coming from Podolski (with fellow Germans Ozil and Mertesacker assisting) in the opening half. Clarke hit the outside of the post in the second to give us a scare, but Arsenal kept pressing on and found two well-taken goals in the last ten minutes from Giroud and Cazorla. It was a good performance, particularly from Mertesacker, Ozil, Podolski, Gnabry and Zelalem. I'm quite sure that by the beginning of next season we could field an entire starting eleven of Germans. Mertesacker might have to go in goal though. So, we're through to the next round of the FA Cup, where we'll be meeting Liverpool at home. I have one last game in Auckland, the Premier League tie in Southampton, before bidding farewell to this utterly beautiful country. 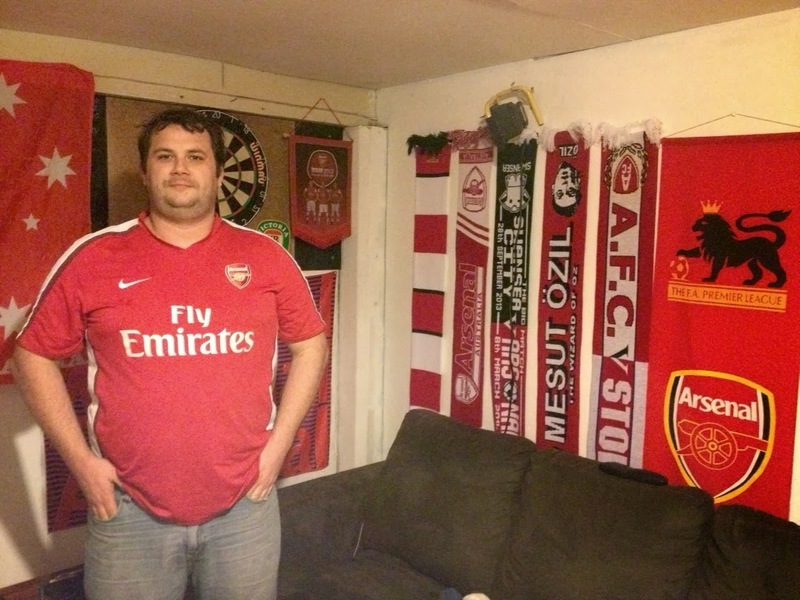 Meet Andrew Douglas, a Gooner living in the Dunedin. Andrew put me up for a few days on a whistle-stop tour of arguably the most beautiful of the two islands in New Zealand, Te Waipounamu. I guess since we've been talking over the past couple of days, the family of Arsenal really goes out of their way. The players that have come and gone, the history. It's a world-renowned club for attracting talent, and they're a great team to watch. I started supporting in 2010. I was living in London and my work colleague that I sat beside was a big Arsenal fan, Elia Elioupolou, started taking me to games. By the fourth game he said 'Andrew next time we go, you have to buy a shirt'. So I did, and I've been a Gooner since. The defenders never get as much of the limelight as others, and as I play as a defender myself, I'd like to say that Koscielny is my favourite. He appears at the right time at the right place, which is exactly what you need from a player. When we played Barcelona a few years ago and we were 2-0 down, and then Fabregas scored that last minute penalty. I was at that game and that was probably the best experience for me. Q. Where do you watch Arsenal in Dunedin? Usually at home. It's difficult to do it at the ridiculous times, and there aren't exactly a huge amount of Arsenal fans around in Dunedin. I knew somebody that lived in the Highbury apartments when I lived in London, so I'm proud to say I've walked the pitch, albeit after it was a football stadium. But for me I only saw games at the Emirates. Well, we are going to win the league, but it's going to be nail-biting (as it always is) and will go to the wire. Wilshere has been playing some great football. I think he's getting back into the swing of things after some time out. Once again, my apologies for the lateness of this one. Sounding like a broken record here but the internet (and general availability of it for that matter) in New Zealand is abysmal. It means that blog articles, with their rich content, have to wait until I stumble across one of those rare 'high-speed' connections, hence the lack of photos on this particular post. It's a shame because this country has been, by far, the most visually breathtaking I have ever visited, and I've got loads of pictures to upload on Flickr. Hopefully Auckland will have cottoned on to the fact that it's the 21st century and I'll be able to share this part of the adventure with you all in more detail. Anyway, the challenge of watching every Arsenal game of the 2013/2014 season continues. I was still in Wellington to catch the Fulham game, which kicked off, locally, at 4am. It was a long day because I was playing footy twelve hours before, and we had all elected to make a night of it and sleep after the Gunners had played. The Wellington Phoenix, the A-League's only New Zealand team, were also playing on the same day. The Phoenix were playing Melbourne Victory, and Alister White, a Gooner who works as an intern at the Phoenix, got hold of a ticket for me. The Phoenix ended up thumping the Victory 5-0, an impressive feat when you consider where both teams were in the standings before the game. Afterwards, we headed over to The Grand in the centre of Wellington for the Phoenix after party. This is where you really notice the difference between the elite leagues of world football and the A-League. The Grand is where all the Phoenix players and coaching staff go after each home game. You don't need a ticket, or an invitation, I'm guessing the only prerequisite is that you don't wear an opposition shirt. Inside, all the players were mingling with the paying public, there was a man-of-the-match presentation. I even chatted with Ernie Merrick, the current coach, and attempted to give some business lessons to a hobo that turned out to be the club owner. It was a refreshing change to the all-too-familiar 'behind closed doors' affairs of the Premier League businesses clubs. It's an honest approach to the game and one that I could get used to. Alister hosted a few of us to watch the Arsenal match. After a few beers and an uninsprining tequila-and-coke concoction, kickoff arrived. The result was, as is becoming the norm, another three points to keep us top of the table. The way in how we did it was equally familiar; loads of possession, questionable finishing, a few close calls before eventually closing out the game, this time with thanks to Santi Cazorla. The contenders at the Premier League summit remain within a hair's breadth of one another though – the question is, which team will slip up first? So with EPL round 22 out of the way, the next fixture is in the FA Cup against Coventry. I'll be in Auckland for that one, before heading back to Sydney for one final game in Oceania. 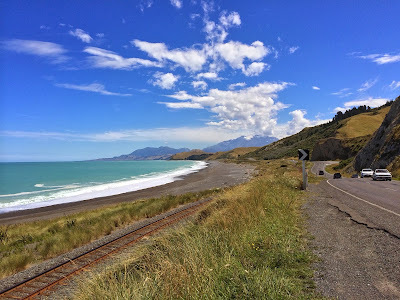 Before that though I'll be experiencing the wonders of New Zealand's North Island, including natural hot mineral pools and maybe some bubbling mud. Ooh. Firstly, before discussing the close shave at Villa Park, I'd like to apologise for being less active on the airwaves than usual. You see, I'm in New Zealand, and the internet here is either non-existent or very slow. I've also had a pretty hectic scheduled, most of the weekend I was driving down to Dunedin in the South Island, and back again, to meet with Andrew Douglas, an Arsenal fan who was happy to put me up for a few days. You can learn more about Andrew's love for the cannon in a dedicated feature later on in the blog. 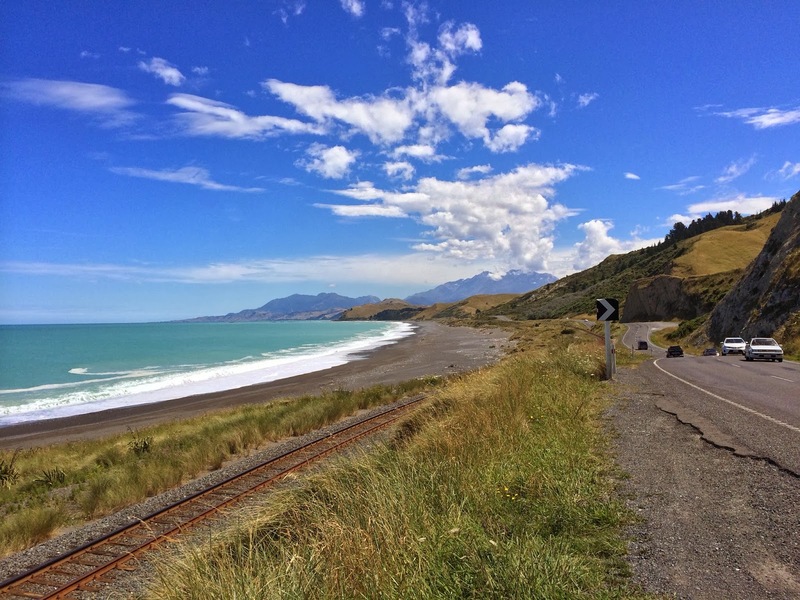 After arriving in Wellington late on Thursday night from Brisbane, I totalled six hours sleep before catching the ferry on Friday night across the Cook Strait to Picton on the South Island. There simply isn't a better way to get your first sight of the South Island than on the Interislander. Not your typical ferry ride. Unbelievably, the drive down to Dunedin was even more spectacular. Winding two-way roads the whole way there, it was as if the New Zealand Tourist Board had set up some CGI wizardry for my arrival, especially between Kaikoura and Christchurch, where icy blue seas blended effortlessly on the left with steep cliffs, and green pastures complimented the distant Southern Alps on the right. If there was just one moment on my global journey that I'd feel ashamed not to have an SLR camera with me, this would surely be it. I've driven a small part of the Great Ocean Road in South Australia/Victoria, and the infamous US Highway 1, but this road is just on another level. I've been fortunate to drive some of the world's greatest thoroughfares but this is by far the best I've ever experienced. And the pictures here simply don't do it any justice. New Zealand at her finest. Having made it down to Dunedin in one fell swoop, I spent a full day and a drunken night in the 'Edinburgh of the South' with Andrew and his family. It's a great little university town and definitely compares to its namesake back in Scotland. Unfortunately I didn't have anywhere near enough time in the South Island before having to drive back up to Picton to get the return ferry yesterday. But not without a quick visit to Christchurch to see how the 2011 earthquake decimated half the city. Once again I was pushed for time so didn't get to see much, but it was still a brutal reminder of just how destructive mother nature can be. So, having made it back to the North Island late last night, the challenge of watching every Arsenal game of the season resumed. The venue of choice for the Aston Villa game was at a pub inventively named 'The Pub' on The Terrace in Wellington. In New Zealand, the only way to watch the Premier League live is online, as there is no dedicated TV Channel showing games. Fortunately, most of the pubs that show live sports will have a 'Premier League Pass' that enables them to show games online. For us though, it was a close-call to missing the start of my first Premier League game as the person looking after the computer at The Pub had no idea how to use a computer. We managed to get the stream up and running, thirty seconds prior to kickoff. Phew! The first half performance was all Arsenal of course, capped off with two fantastic team goals to put us in control of the game. But that Benteke header made the final twenty minutes of the second a lot more uncomfortable than it should have been. Still, we're back to the summit of the Premier League and we can be happy with the way we managed to see the game out, despite being under considerable pressure from a motivated Aston Villa side. Meet Mick Barlow, my host in Brisbane, the final city on the Australian leg of my tour. Michael helps run Arsenal Australia's Twitter account and also does ticket allocation for members of the group. 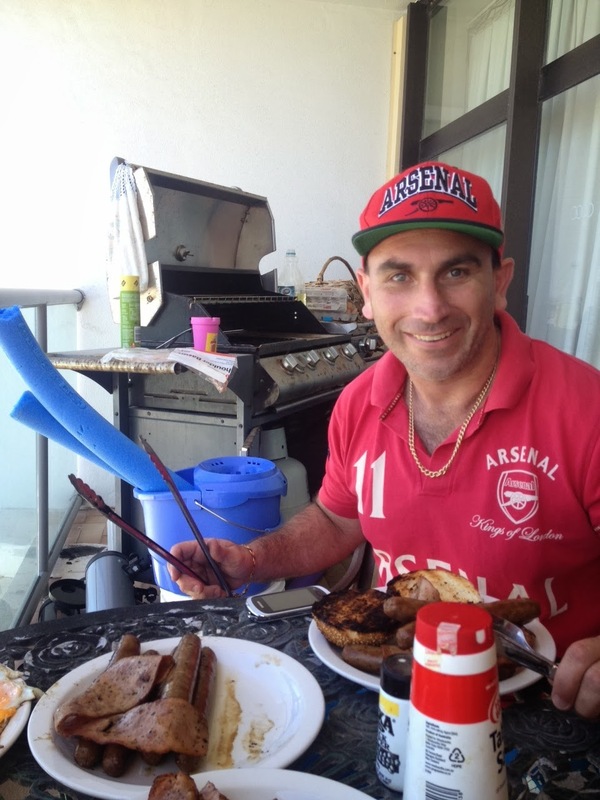 He's Brisbane born and raised, but Arsenal still runs through his blood. The history and the class of the club. A lot of people in Australia will choose money rolling machines like United, City, Chelsea, but Arsenal is more like 'The People's Club', if that makes sense. Travelling 36 hours from the other side of the world to be greeted by Arsenal fans in London in a way that no other club's fans can do. That's the Gooner Family. 1999. It was because of Bergkamp. I saw him playing for Holland in the 1998 World Cup and he was just great against Argentina. I followed him at Arsenal, I don't think it was until he left that I started becoming a lot more passionate about the club. Dennis Bergkamp as per above. Per Mertesacker. He shows the characteristics of Arsenal, he shows that he's part of the Arsenal family, he gets involved in the camaraderie and is almost like a father figure in the club at the moment. He's also a bloody great centre-back. It would have to be Giroud's goal against Sunderland at the Stadium of Light, it was my first ever game I've seen at that stadium and the goal was scored after a few minutes of me arriving. Q. Where do you watch Arsenal in Brisbane? Pig n Whistle at the Brewhouse. We normally get about fifty Gooners at a game when it isn't at a ridiculous time. We've had 150+ at a North London Derby when it's been at a decent hour. Highbury, even though I've never been there. When I first followed Arsenal they were playing there, I just appreciate the history, the original stand is still there, which I see when I go over to visit. I hate to say it, but I think second. As much as I want to see first, I think we'll make way to City because they have the squad depth. But, I think we can win the FA Cup. In my opinion, when we're fully fit we have the best first team squad in the league. Tomas Rosicky. He seems to be getting a break at the moment, he's got a fantastic engine on him and I think that, if he can stay fit, he's going to be a major contributor to some silverware. North London is Red & White and Brisbane is my last call on my 6 week tour of Australia before heading to New Zealand (excluding a quick stop off in Sydney at the end of January on the way back up to Asia). What better way to do it than by watching our Red Army comprehensively knock out that team up the road. This is my second visit to Queensland in those six weeks, having visited Cairns in December. Brisbane is QLD's largest city and is a nice, calm departure from Sydney. Most Australians will come to Brisbane to visit the beautiful Pacific coastline nearby, namely the laid-back Sunshine Coast to the north of the city, and the touristic Gold Coast to the south. 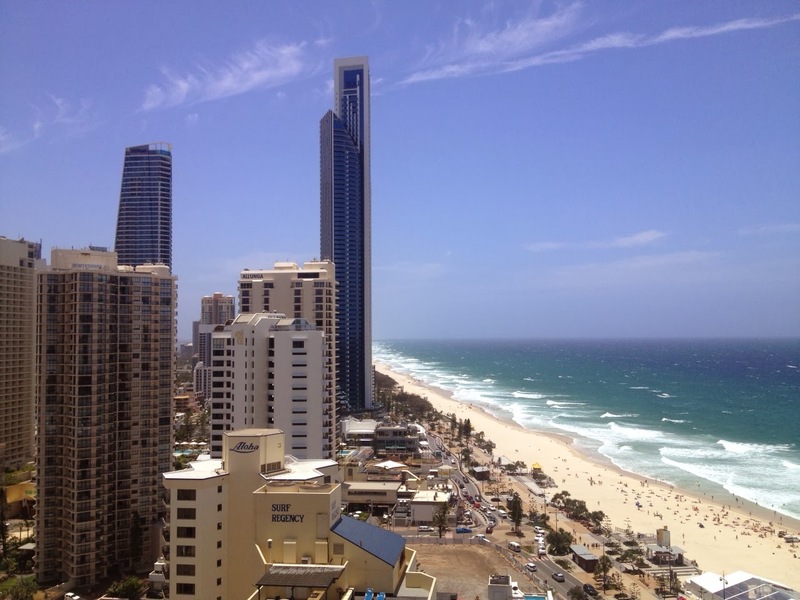 I took a short ride to the latter, Gold Coast, or more specifically, Surfers Paradise, to soak in the sights of the country's most popular tourist destination. People from all over the country flock here in the thousands to frequent the beaches and attractions. It's the Orlando of Australia, only less giant mice and more seawater. For the North London Derby, the venue of choice was the Pig N Whistle in central Brisbane. Having watched Manchester City draw 1-1 against Blackburn Rovers, the small gathering of Arsenal fans were in good spirits for the Spurs match. What made it all the more entertaining was the group of silent Spurs fans that congregated next to us in the pub. It made for a great experience, and of course the result speaks for itself. It's a shame about Walcott, I really feel for him, especially as he'll miss the chance to play in Brazil. But he'll come back even stronger, and there's Gnabry and Ox to fill the void. The icing on the cake for me and my host Michael was the ride back from the pub. The game had kicked off at 3:15am, so by the time the final whistle had gone and we had caught the train back to the nearest station, it was 6am. Mick and I walked out the station, looking for a taxi, but couldn't see a single one. To our disbelief, we walked past an SUV and the driver winds down the window upon seeing us in our jerseys. "Up The Gunners" he shouts as we walk past. He gets out the car, complete with Arseblog T-shirt, and asks if we need a lift home. Introducing himself as Pete Boyles, I ask if somebody put him there, he said he was picking up a morning paper from the shop across the road and wanted to get out the house for a little while. You couldn't write it, could you?! 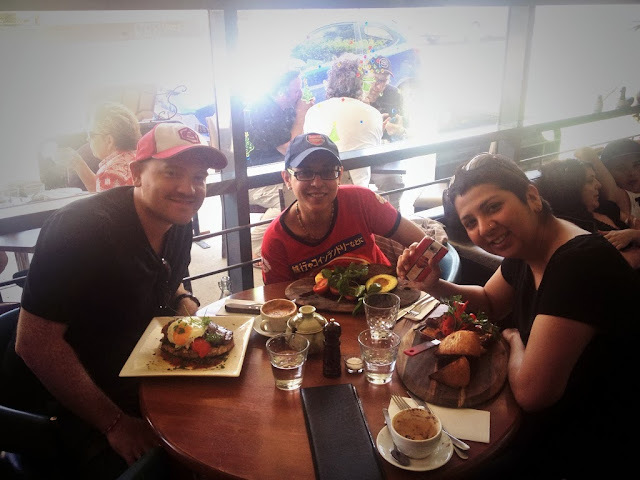 Meet Kanika & Diya, members of the Gooner Family and my hosts for New Years Eve in Sydney. They both moved to Australia from Delhi in 2007 and have been Arsenal fans for a while. Q. Why Arsenal?K: A lot about the way they play, the style of play. It's poetry in motion, it's like Tiki Taka with attacking flair. Ever since I've started watching Arsenal, no other team has matched them. It's the way it should be played. D: There's a sincerity about them, they're a very honest football club. I think Wenger's philosophy rubs off on the entire club. We're not crass, we're class. Q. Started Supporting Arsenal?K: 1998 or 1999, I can't quite remember. I was first a football fan, I remember the 1986 World Cup, and had always enjoyed football ahead of other sports. It was around about 1998 when they started playing Premier League matches on TV over in India, and I just remember being attracted to the way Arsenal played. D: I was a cricket fan first and foremost, I met Kanika in 2004, she got me into football as a whole, the first game I watched on my own was (what would have been) the 50th Invincibles game against Man United. My brothers are United fans so it didn't make things easy for me. Q. Favourite Player?K: Robert Pires. This guy popped up at the right time all the time. He was so fast going down the flank. He made Thierry Henry look good with his support play. He was a workhorse. D: Bacary Sagna. Somehow I just feel better when he's in the team. I really hope he signs a new contract. Q. Favourite current Player? K: Per Mertesacker. He leads by example, he breathes Arsenal, I love the way how he bosses people around. D: Apart from Sagna above, I'd also have to go with Per Mertesacker. Q. Favourite Arsenal moment? K: When we qualified for the Champions League final in 2006 against Villareal. I remember crying when we had gone through. I was ecstatic. D: It was the last minute header from Thierry Henry against United in 2007 at The Emirates. I remember that experience more than any other. The crowd went wild. Q. Where do you watch Arsenal in Sydney?K&D: Mostly at home as the games are on late here. We were both at the Armoury for the Aston Villa game, there were hundreds of fans there. Q. Emirates or Highbury?K: I'd have to say Emirates for the capacity. I've spent more time watching games there. Q. League Prediction?K: Win. I say that with a lot of fear in my heart! D: Same! Not the Champions League, I think they'll get knocked out but will be able to concentrate more firepower on the league. K: Podolski, he's going to score some crackers! D: Our new striker that we sign in the January transfer window! Sydney. Is there a more iconic place to bring in the start of a new year than this place? I had put my round-the-world itinerary together with the purpose of being in Sydney Harbour on New Years Eve, where the best pyromaniacs in the business create a fire and light show in front of a million and a half party-goers. It's a once-in-a-lifetime experience, but it's something you'd probably be more than happy experiencing just once in your life anyway, because the whole of the downtown area is jammed full of people wanting to witness the same thing as you. It meant, for me and many others, an obstructed view of the Harbour Bridge, from the wrong side, and no view of the Opera House whatsoever. As most of the premier viewings spots had already been taken up, with people camping in the early hours for the privilege, people had to settle for next-best. The firework display itself was still very impressive, and it means a lot to say I was there in person, but once is enough. And I'm glad that I didn't pay $600 for a boat ride that lasted all of an hour. That's just ludicrous. 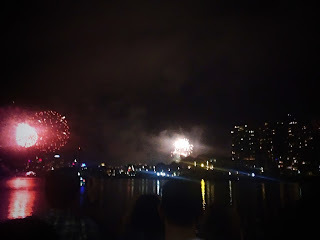 My view of the Sydney fireworks. Not exactly front row. With another important Premier League clash comes another late-nighter in Sydney. January 2nd at 2am, to be precise. I returned to the early morning venue of choice, the Star Casino, to watch Arsenal beat a stern Cardiff side at the Emirates. There were eight games on in total, all being aired simultaneously at the Casino Sports Bar. There was a handful of Liverpool supporters, probably five in total, and a couple of Villa fans too. We, the Arsenal, had around thirty or forty. Sydney really is predominantly red and white. The game was a hugely frustrating one to watch for the majority, we just lacked that bit of sparkle in the final third, and credit to Cardiff for doing a good job at shutting up shop up until Nicky Bee finally broke the deadlock, before immediately going off injured. Podolski, who started his first game in more than three months, looked out of ideas for the majority of the game. I'm not saying that he can't play up front, but he needs the right kind of service and probably more match practice before he can pull it off, especially if he's up there on his own. He doesn't have the physical attributes to boss central defenders in the same way that Giroud, or even Bendtner, can. With the way we've utilised Giroud as a target man, does Podolski have a future at Arsenal as a centre-forward? I think we all know he's better on the wing, or even potentially in a number 10 attacking position playing off a stronger forward like Giroud. So, we're nine out of nine, it's been a congested festive season with mixed results against some tough opposition, but we've come through Christmas and New Year on top of the table. The next few weeks are going to be just as testing, both on the pitch with important games against Spurs, and the will-he-won't-he saga of the January transfer window. Let's hope we can keep the momentum up and pull away from the two sugar-daddy clubs and that man-eater.